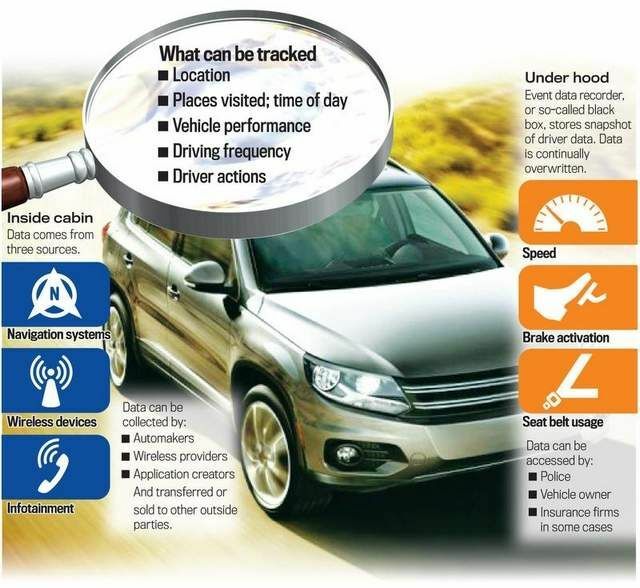 Driver Privacy Act of 2015 - Is Your Car Tattling On You? Driver Privacy Act of 2015 – Is Your Car Tattling On You? Senate Bill 766 (Driver Privacy Act of 2015) is a bipartisan bill that seeks to make VERY clear that any data contained in a car’s event data recorder (EDR) is the property of the car’s owner or lessee, regardless of when the car was manufactured. Since 2014, EDRs are installed in about 96 percent of new cars sold in the U.S. 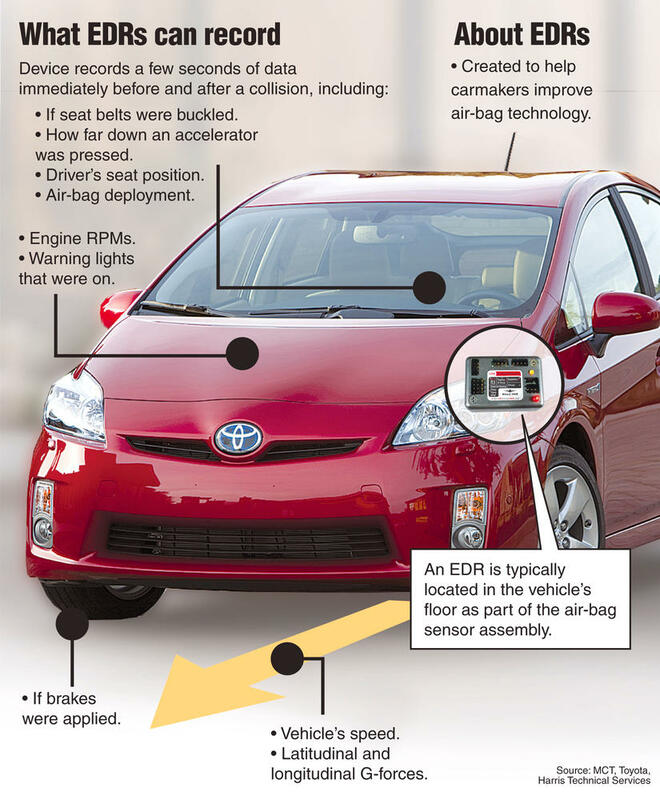 The EDR is akin to an aircraft’s “black box,” and it measures, tracks and saves moment-by-moment statistics saved from the car’s actions. The EDR tracks over 45 parameters, such as speed, acceleration, braking, lateral forces, and even other information such as climate control settings, audio, lighting, and the presence of passengers. That information could someday be used against you in legal proceedings… or shared with your insurance company… or sold to a third party. A court, judicial or administrative authority authorizes the data retrieval, and that retrievable data must meet standards for admission into evidence required by the court. The car’s owner or lessee provides consent for the data’s release for any purpose. The data is retrieved in determining the need for emergency medical response. It is retrieved for traffic safety research with the personally identifiable information redacted. EDITORIAL NOTE: It is our position that any data that is recorded by a person’s vehicle should not be available to anyone other than the owner, unless accessed via a proper and legal warrant executed by law enforcement. Anything less than this is tantamount to an invasion of privacy and represents an abuse of power by anyone accessing this information without the express consent of the owner of the vehicle. The Congressional Budget Office estimates that implementing this bill would cost about $1 million over the 2015-2019 period… a small price to pay to protect the privacy of American drivers. Keep an eye on this one in your home state, and make sure you write to your local Congressperson if he/she supports this invasion of your privacy.